International Journal of Biology Research publish original research work that contributes significantly to share the scientific knowledge in biotechnology and bioscience research. 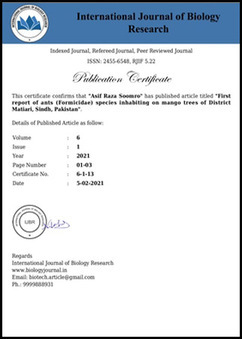 All manuscripts are subjected to RAPID peer review process and those of high quality (which are not previously published and are not under consideration for publication by another journal) would be published without any delay in subsequent issue. Online submission of the manuscript is strongly recommended. 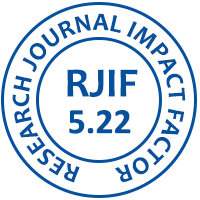 The Journal provides a medium for the rapid publication of both full-length articles and short communications on novel and innovative aspects of Biotechnology, Genomics and Bioinformatics, Molecular Biology, Biochemistry, Biochemical Engineering, Bioprocess Engineering, Industrial Processes, Medical Biotechnology, Agro, Food Biotechnology, etc. A peer-reviewed, heavily cited monthly journal, BioScience includes articles about research findings and techniques, advances in biology education, professionally-written feature articles about the latest frontiers in biology, discussions of professional issues, book reviews.